Probably one of the best pieces I've ever bought. I love this dress so so much and I've worn it tons. I got it in a size 8 but I had to alter the strap at the back to make it completely fit me and it was worth me doing that as now it's ready to wear for any occasion. 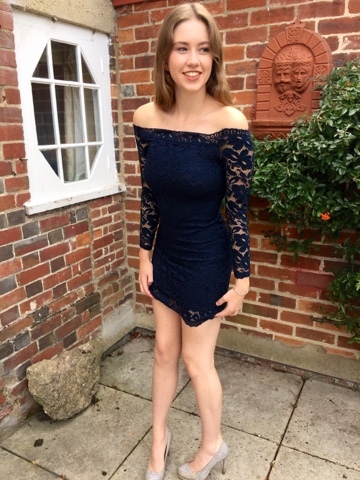 This has to be my most favourite party dress as it feels amazing on and it was only £8!! 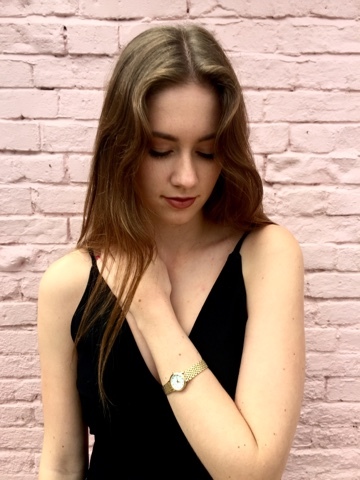 This gorgeous watch is the perfect accessory to match this dress as it's a sophisticated design yet subtle. It works perfectly with this formal outfit but would also be perfect for day to day wear. The beautiful simple design is classy and it's very inexpensive. In fact it's on sale at the moment so you should go check it out from my favourite watch retailer, House of watches! Fantastic quick service and delivery and they wont disappoint. This is my most recent purchase for a black and white themed party but I will have to wear it again! It doesn't quite show how sparkly it is but it has the most wonderful outer fabric which is almost like netting, with a slip dress underneath. I had a bit of a dilemma with this as I ordered a size 8 to begin with but when I came it hardly fitted over my bum! So a few panicked hours later and I ordered a size 12 as I then thought it would be best to get a longer dress and then alter the body part to fit me. It worked out so well and I'm so pleased that I bought it! 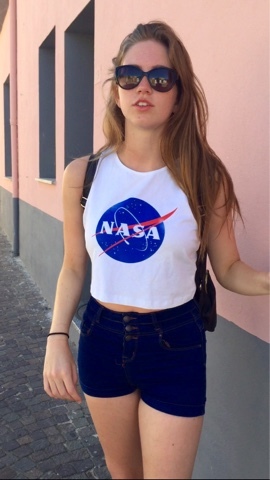 The perfect accessory to go with this outfit? A Pandora bracelet of course with this beautiful heart charm. I'm loving this charm as it's not like the others. 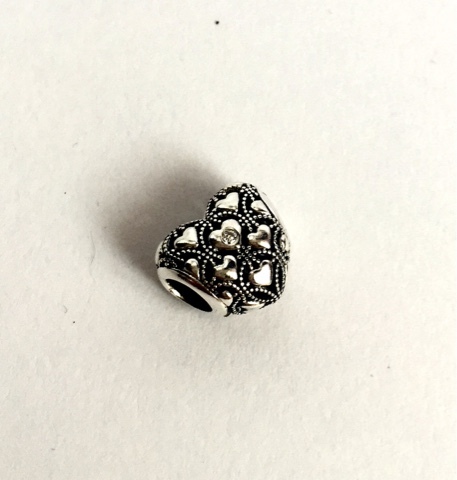 It's a limited edition Pandora club charm and it's so sweet as it has 2016 engraved on the back of the charm. 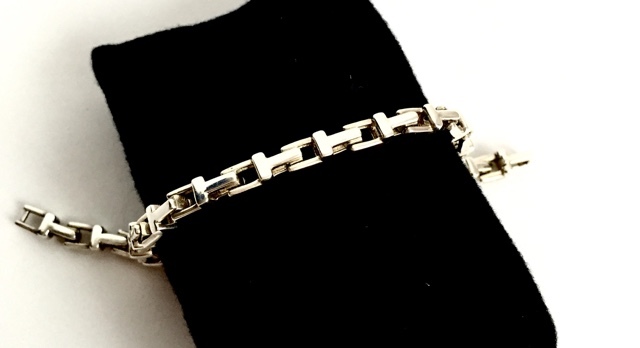 I think this is a wonderful memory to have on your bracelet and I highly recommend you invest in this gorgeous charm. The link below is from my favourite jewellers T.H.Baker. They are just fantastic as they have quality products at amazing prices and they have a great customer service if anything goes a little wrong. Delivery is quick too so get yourself a bargain now! I bought this dress at the beginning of the year in the winter sales. I can't believe I spotted it at such an amazing price. I wasn't entirely convinced until I put it on and oh my, I transformed into this sophisticated lady. I think the colour is beautiful and it fits in perfectly for winter formal parties. Any of you who have seen me actually wearing this at a party may want to comment that I am in no way ladylike but at least I can give of that aura for the first few seconds. I have no link for this but I'm sure it wont be hard to find something like it! Finally to finish off with probably one of the most expensive things I own, my Tiffany T Bracelet. This is so beautiful and it's thanks to my lovely parents that I own this. It fits perfectly around my wrist and I try and wear it to ever formal event I go to. 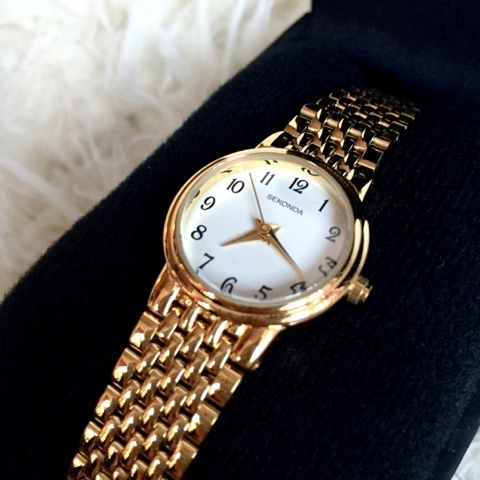 It's an effortless piece that makes you feel very elegant and classy. A great thing about this piece is that it increases in value. My parents bought it for less than the price stated (I don't know how much, I just know it was less) so I've given you the price from the website now. Thank you so much for reading! Comment any suggestions for posts below or anything you really did/didn't like!